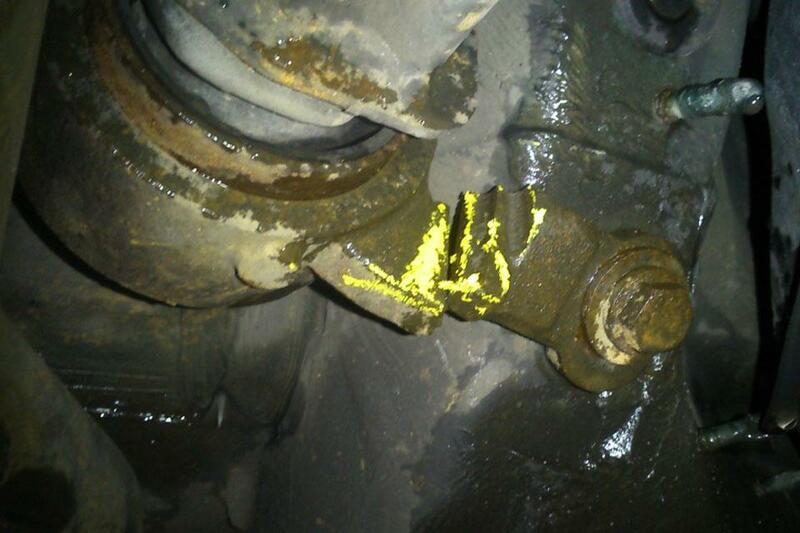 Shane Farmiloe, from Castle Vale Service Station sent us this photo showing the rear bush carrier for the lower suspension arm clearly broken at one of its mounting points. Shane said: “There was no evidence of play when the suspension was checked at the road wheel under section 2.5 of the manual. So a careful visual inspection of the mounting was needed to identify the fracture”. In this case the break is clearly visible and recorded as a failure under reason for rejection 2.4 G1 ‘a suspension component or its attachment bracket or linkage - cracked, fractured or insecure. Pretty certain that gouge is meant to be there, it's a safety feature so that in the event of a frontal impact the bush carrier breaks and the arm goes under the footwell instead of being forced into it. If you look carefully just right of the crack there's a slight appears to be a gouge running up/down - could be damaged causing fatigue. Have tested vehicle were exact same 'rear bush carrier' had a seam weld filling each recess on each side of the bush housing (as marked yellow in picture), the aforementioned 'modified/repaired' bush carrier's were fitted on both n/s/f, o/s/f and I failed them as an inappropriate repair. Subsequently after representation from the garage that brought the vehicle in for test, on behalf of the owner, I reversed my decision and Passed. I've fitted 2 like these, minis I think. Are we gonna see more of these ? Any idea what vehicle Shane? Looks like a Mini one from the shape of the lower arm. Amazed at that. It is a strong bit of kit..or so I thought! Be interesting to know what the vehicle was.. make, model etc.